Well-balanced saw with high frequency hardened teeth set giving up to five times the life of conventional teeth. The plastic handle incorporates 45° and 90° marking guides and is securely screwed to the blade. 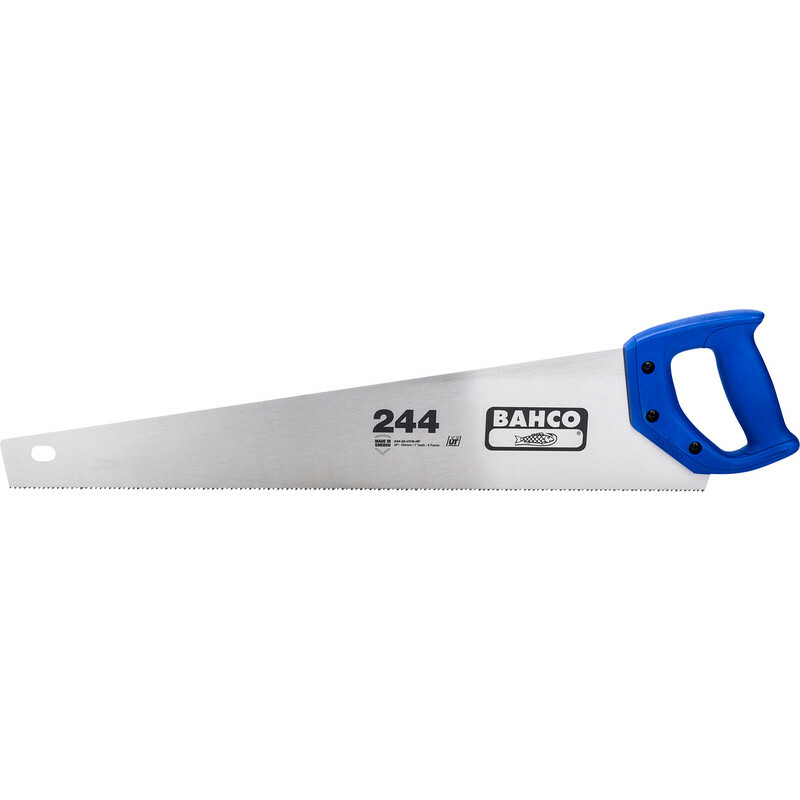 Bahco First Fix 244 Hardpoint Saw 500mm (20") is rated 4.9 out of 5 by 15. Rated 3 out of 5 by DiyDeano25 from Not a good saw Thought this would be a great saw,but it catches the msterial your cutting n matter whst direction you saw in and gets caught. Rated 5 out of 5 by Rich69 from Great quality This saw is a decent one, it chews through solid oak. Rated 5 out of 5 by DIY Marti from Great cut Bought for cutting sleepers. Cuts great, definitely up to the job. Rated 5 out of 5 by Stefy from Comfortable Saw I have only been using this or for a couple of days to cut plastic fascia board. It is pretty sharp and has stayed that way.